COPEN 2002 -2012 Mk1 Front Left. DAIHATSU COPEN Door Panel. 2008 DAIHATSU COPEN which we are dismantling. The Part imaged and described is th eactual part you will recieve. Colour Grey. Doors 2 Door. Mk2 2.8 Diesel 5 Speed 3 Door. This part was removed from a Right Hand Drive Vehicle. Compatibility is a guide only. Your item will need to be signed for. Door Panel. TRIM LEVEL. Part Number. Removed from a 1999 DAIHATSU HI-JET EFI VAN 1295cc. FOR YEARS: 1998, 1999 (1999). We Do Not Cover Any Labour Costs Involved With Fitting Or Removal Of Any Parts. We do not cover labour Costs. Warranties cover Parts Only and only apply if parts are fitted by a recognised independent specialist or approved dealer. Removed from a 1999 DAIHATSU HI-JET EFI 1295cc. NORTHANTS VEHICLE RECYCLING CENTRE. FOR YEARS: 1998, 1999 (1999). Recycling Centre. We Do Not Cover Any Labour Costs Involved With Fitting Or Removal Of Any Parts. Removed from a 1998 DAIHATSU FOURTRAK TDL 2765cc. FOR YEARS: 1993, 1994, 1995, 1996, 1997, 1998 (1998). We Do Not Cover Any Labour Costs Involved With Fitting Or Removal Of Any Parts. We do not cover labour Costs. 6764087403 LEFT REAR DOOR PANEL DAIHATSU TERIOS < span class = notranslate ' > 1.3 B 5 m 5 DRS 61KW (1998) PARTS USED. Being the parts used may have slight signs of wear and tear. Year: 1998. 67838-B4010 REAR DOOR PANEL RIGHT SIDE DAIHATSU TERIOS < span class = notranslate ' > 1.5 B 5 m 77KW (2008) PARTS USED. Being the parts used may have slight signs of wear and tear. 6763087403 RIGHT REAR DOOR PANEL DAIHATSU TERIOS < span class = notranslate ' > 1.3 B 5 m 5 DRS 61KW (1998) PARTS USED. Being the parts used may have slight signs of wear and tear. Year: 1998. Year: 2005. 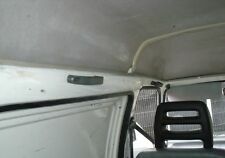 Product range: Inside front door Panel/vehicle. Engine code (located at point P5 of the booklet): K3. Being the parts used may have slight signs of wear and tear. Power: benzina. PHONE 0429 88 88 32. Product range: Inside front door Panel/vehicle. Engine code (located at point P5 of the booklet): EJ. Year: 2009. Being the parts used may have slight signs of wear and tear. Power: benzina. PHONE 0429 88 88 32. LEFT SIDE REAR DOOR PANEL 67634-B4010 DAIHATSU TERIOS < span class = notranslate ' > 1.5 B 5 m 77KW (2008) PARTS USED. Being the parts used may have slight signs of wear and tear. Year: 2008. FRONT RIGHT DOOR PANEL 6761087402 DAIHATSU TERIOS < span class = notranslate ' > 1.3 B 5 m 5 DRS 61KW (1998) PARTS USED. Engine code (located at point P5 of the booklet): HC. Being the parts used may have slight signs of wear and tear. Product range: Interior vehicle rear door panel. Year: 2009. Being the parts used may have slight signs of wear and tear. Power: benzina. PHONE 0429 88 88 32. Product range: Interior vehicle rear door panel. Year: 2005. Being the parts used may have slight signs of wear and tear. Power: benzina. PHONE 0429 88 88 32. LEFT FRONT DOOR PANEL 6762087402 DAIHATSU TERIOS < span class = notranslate ' > 1.3 B 5 m 5 DRS 61KW (1998) PARTS USED. Engine code (located at point P5 of the booklet): HC. Being the parts used may have slight signs of wear and tear. LEFT SIDE FRONT DOOR PANEL-B4010 67629 DAIHATSU TERIOS < span class = notranslate ' > 1.5 B 5 m 77KW (2008) PARTS USED. Engine code (located at point P5 of the booklet): 3SZ. Being the parts used may have slight signs of wear and tear. Daihatsu YRV M2. Online E Ja.